Join us as we interview four of the women profiled in one of O'Reilly's latest reports, Women in Data: Cutting-Edge Practitioners and Their Views on Critical Skills, Background, and Education. We'll uncover success strategies for women in the field of data; explore inspiring stories of career success from women central to data businesses; and we'll review a sampling of organizations that offer valuable mentoring and practical training for anyone interested in pursuing or advancing their career in the field of data. Cornelia Lévy-Bencheton is a communications strategy and marketing consultant and writer whose data-driven marketing and decision support work helps companies optimize their performance. As Principal of CLB Strategic Consulting, LLC., her focus is on the impact of disruptive technologies and their associated cultural challenges that open up new opportunities and necessitate refreshed strategies. She concentrates on big data, IT, Women in STEM, social media and collaborative networking. Ms. Lévy-Bencheton has held senior marketing and strategy positions in well-known financial services firms, is currently on the Board of The Data Warehouse Institute, Tri-State Chapter, (TDWI) and the Board of the Financial Women's Association (FWA). She earned her MA from Stanford University, MBA from Pace University and holds several advanced certificates from New York University. Laurie Skelly is a Data Scientist at Chicago-based data consulting firm Datascope, and a curriculum developer and instructor for the Data Science bootcamp at Metis. Laurie joined the Datascope team after completing her PhD in the Integrative Neuroscience Program in the Department of Psychology at the University of Chicago. 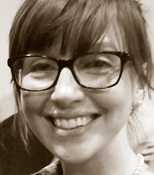 There, she studied social neuroscience under Professor Jean Decety, and in her dissertation used what she eventually learned to call machine learning algorithms on functional MRI data to model the neural processes behind empathy and social information processing deficits in incarcerated psychopaths. As a peripheral benefit of a graduate training that bridged the physical and social sciences, she learned the ropes of zooming in and out between the macroscopic and the microscopic — how do millions of data points come together to tell us something meaningful about human nature? And how can words and pictures communicate sophisticated ideas in a digestible and memorable way? Connecting a real-world problem to its ideal technical solution is an art and a science. At Datascope, Laurie has led and contributed to projects for clients ranging from international Fortune 50 giants to regional nonprofits, representing a broad collection of business sectors and verticals. Success in data science requires broad and flexible technical ability, critical design thinking, and skillful visual and verbal communication. In her work designing the curriculum and teaching for Metis's Data Science Bootcamp, she learned to appreciate the formal interrelationships between these skills as she and Datascope partner Irmak Sirer guide bootcamp students to nurture and integrate their natural talents in these areas. During this time she has developed a deepened passion for mentorship, and is currently exploring ways to help open the doors wider for others to the profession that she has found so fulfilling. Dr. Renetta Garrison Tull is Associate Vice Provost for Graduate Student Professional Development & Postdoctoral Affairs at the University of Maryland, Baltimore County (UMBC: An Honors University in Maryland). She is Co-PI and Director for the National Science Foundation’s PROMISE: Maryland's Alliance for Graduate Education and the Professoriate (AGEP) for the University System of Maryland, and the Louis Stokes Alliance for Minority Participation (LSAMP) Bridge to the Doctorate at UMBC. Dr. Tull earned the B.S. in Electrical Engineering from Howard University, the M.S. in Electrical Engineering and Ph.D. in Speech Science from Northwestern University. She was a postdoctoral researcher and member of the faculty at the University of Wisconsin-Madison. She led "The Speech Technology Lab at Madison" in The Trace Research & Development Center, part of the UW-Madison College of Engineering, and focused research efforts on technology solutions for persons with disabilities. Tull trains students, faculty, and administrators around the world on issues related to diversity in STEM. She co-led the Puerto Rico "ADVANCE Hispanic Women in STEM" project, and co-chaired both the Latin and Caribbean Consortium of Engineering Institutions' (LACCEI) "Women in STEM" forum and the Foro Estudiantil (Student Forum) in Latin America. She is a liaison to the Office of the Chancellor at Universidad Metropolitana (San Juan, Puerto Rico), leads the annual Graduate School Workshop at the Research Symposium for Sistema Universitario Ana G. Mendez (SUAGM) in Puerto Rico, led the 2014 "Mujeres en STEM y Diversidad" forum for Latin America through LACCEI in Ecuador, co-led the Women in STEM forum at the 2014 World Engineering Education Forum (WEEF) in Cartagena, Colombia, and chaired the "Women in Engineering, Partnerships & Professional Development" session at the 2014 WEEF conference in the United Arab Emirates. She has a new collaboration with Tecnológico de Monterrey in Mexico, and has been recently invited to address faculty representatives from Salvadoran universities in El Salvador. Dr. Tull's research on broadening participation in STEM using social science concepts and cultural competencies, has been presented across the U.S., and in various places around the world, e.g., Panama, Mexico, Colombia, Ecuador, and Dubai. Her work on "The Jessica Effect" and culturally-responsive mentoring was mentioned at the White House College Opportunity Initiative workshop held at UMBC in 2014, and again during her appearance on The Atlantic's media panel, "A New America: Empowering Hispanic Millennials for Tech Leadership." She is proud to be a 2015 "Cover Girl for Women in Data," for O'Reilly Media, and is a Lifetime Honorary Member of Tau Beta Pi — Eminent Engineer, DC Alpha Chapter. She will be participating in the International Forum for the American Society for Engineering Education (ASEE), and has an article in press for ASEE Prism that discusses global opportunities for engineering students. Connect with Renetta Tull via Twitter @Renetta_Tull. 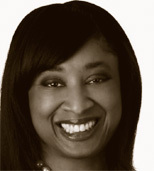 Michele Chambers is an entrepreneurial executive with 25 years of technology experience, and is the President and COO at RapidMiner, which offers a predictive analytics platform. At RapidMiner, she is responsible for marketing, products and global strategy. 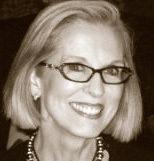 Prior to this position, Chambers held executive leadership roles at database and analytic companies Netezza/IBM, Revolution Analytics and MemSQL. 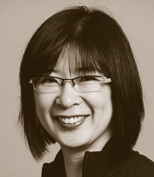 She has been responsible for strategy, sales, marketing, product management, channels and business development. 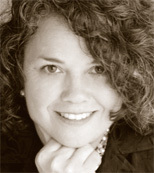 Chambers holds a BS in Computer Engineering from Nova Southeastern University, and an MBA from Duke University. Michele is the co-author of "Big Data Big Analytics" (Wiley), a book that helps businesses and IT managers/executives understand the value of big data through practical, applied analytic stories along with consumable descriptions of the enabling technology.